Canada has quite possibly some of the most scenic fishing water on earth. 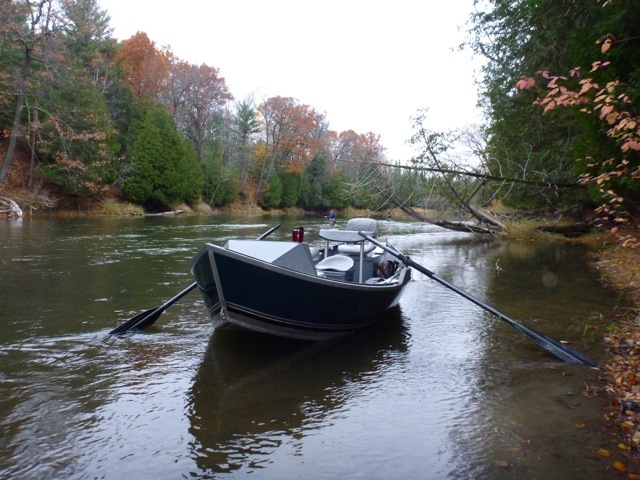 From the Great Lakes region encompassing Lake Erie and Ontario tributaries to the vast areas in British Columbia, Canada is a spectacular place to fish. Just over the border at Niagara Falls our neighbors to the north have some phenomial tributaries like the Grand River where you can swing for lake run steelhead. Lake Erie bass fishing is also excellent in the Canadian tributaries. Moving onto British Columbia - steelhead is often the first species that comes to mind. Rightly so, British Columbia is home to the biggest steelhead on earth but not only that, BC is home to all five species of Pacific Salmon and some beautiful trout. Offering an incredible diversity of water from big beautiful spey rivers to small graceful trout streams, British Columbia caps off its fantastic fishery with panoramic views of snow capped mountains, sheer granite cliffs, big blue skies and enough green vegetation to last you for years. Canada is a place of compelling landscapes, chrome bright fish and a dash of imagination – unless you’ve been there, it’s hard to believe such a place even exists.